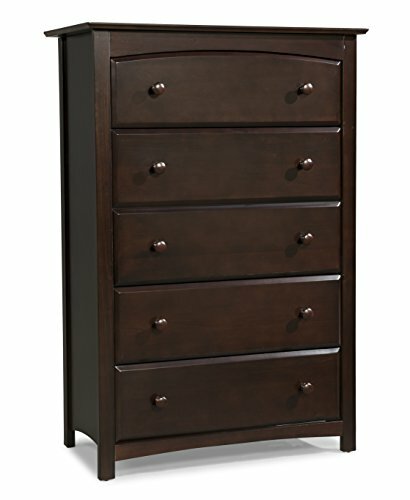 The Stork Craft Kenton 5 Drawer Dresser is the perfect choice to store all of your child's belongings (and then some). Designed to coordinate with any Stork Craft crib, the Kenton combines classic styling with functionality that will grow with your child. The Kenton 5 drawer features five spacious drawers with euro-glide drawer tracks and high-quality steel hardware construction. This easy to assemble Stork Craft Kenton dresser will provide years of enjoyment and make a great addition to your child's room. If you have any questions about this product by Stork Craft, contact us by completing and submitting the form below. If you are looking for a specif part number, please include it with your message.